With a few products you can prevent problems from starting in the first place. Keep these in your pool-cleaning bin so they’re always on hand when you need to clean. Water clarifier: If you notice the water getting cloudy, use this product. It helps bind small particles to large ones, which are easier for your filter to handle. Follow the directions closely, as too high of a dose can actually worsen the problem. Filter cleaner: At least twice a season, clean your filters. When you remove oily film and dirt your filter works more effectively. Floc: These products help weigh bacteria and debris down so they’ll sink to the bottom. Once there, it’s easier for you to clean with a quick run of your pool vacuum. Sometimes it can feel like keeping your pool clean is a chore not worth the time. However, if you can set aside an hour or two every week, and build it into your evening or weekend routine, a weekly clean doesn’t seem so bad. From cleaning the pool cover to sampling the water, don’t miss a single step. Get into a habit of testing and balancing your pool water in specific increments. Check pH levels daily, and balance the pool as needed. Your pH levels should be between 7.2 and 7.6. Any higher and the chlorine stops working, which makes the water more susceptible to algae. If the levels are too high, restore them with a dose of sodium ash, or sodium carbonate. Add this as is directed by the manufacturer. Once a week, or every other week, check for total alkalinity (TA). When in a normal range, the TA helps stabilize the pH and prevents rapid changes in pH levels. Chlorine is a critical component in pool maintenance. 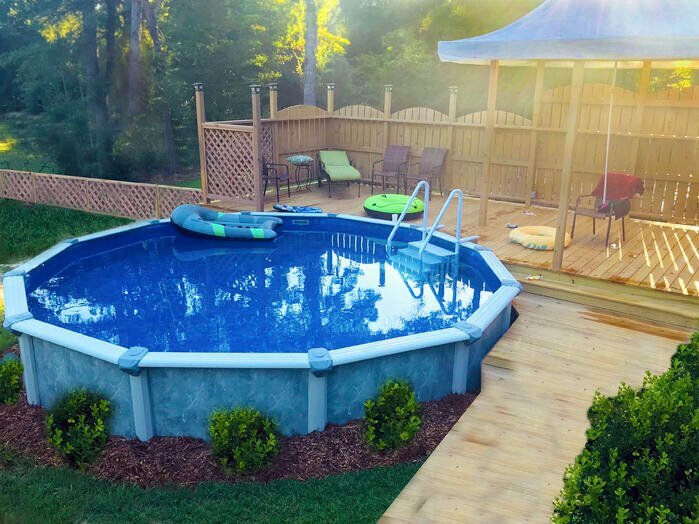 The first step in chlorinating your pool is choosing the type of chlorine you want to use. You can choose from tabs, liquid and granules. Liquid chlorine has a shorter shelf life than other forms, while the granules can shock, chlorinate and kill algae at one time. Follow the manufacturer directions for how to use the product most effectively. 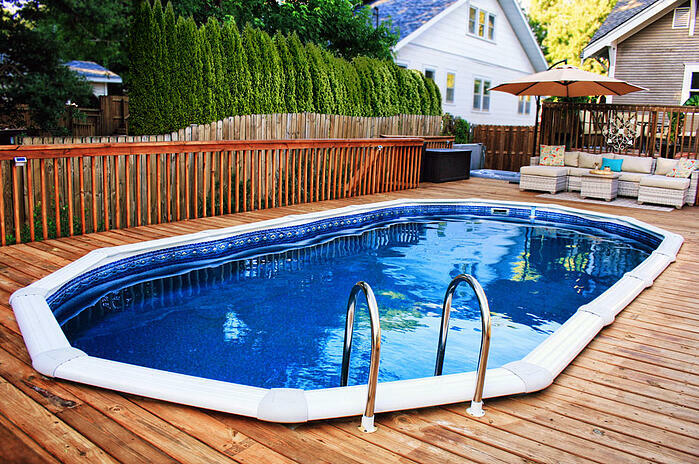 Basic pool maintenance ensures that your pool stays clean all season long. Use these five methods to avoid algae growth and cloudy water.